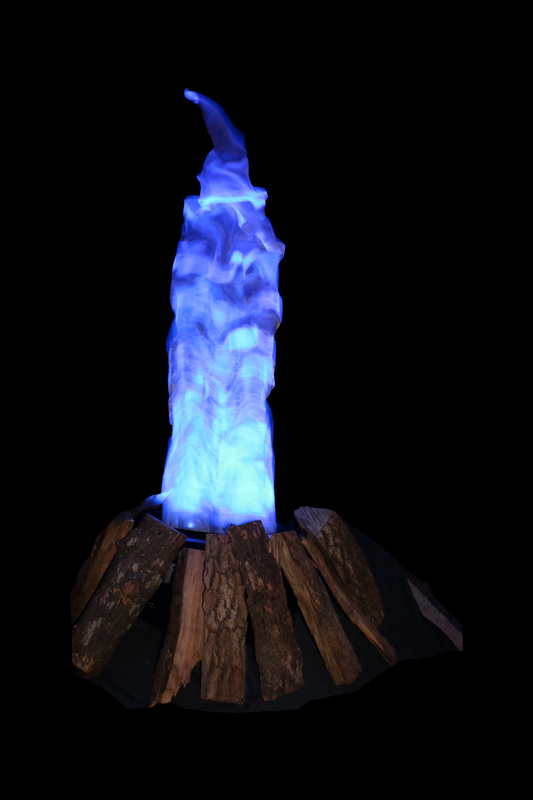 The Bonfire LED bonfire creates a simulated fake fire flame effect without heat. 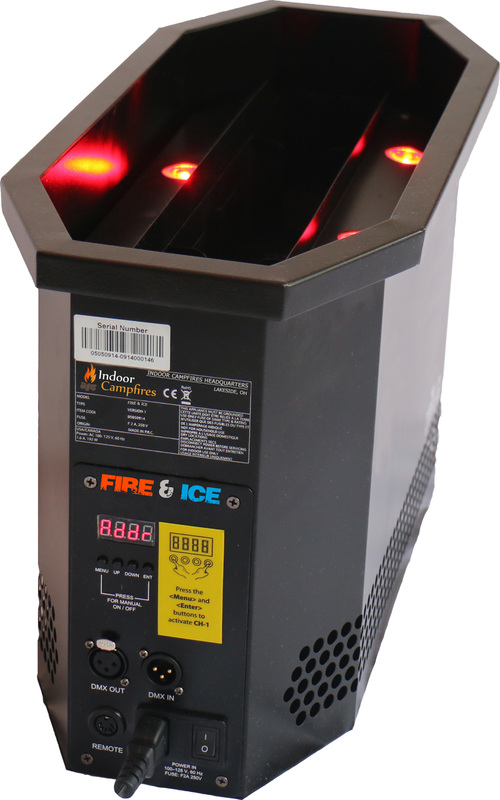 The programmable color control allows you to create rich flame colors with red, green, blue and amber LEDS. 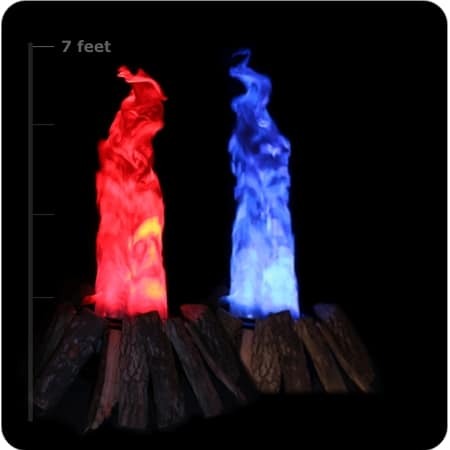 The Bonfire LED stands from 3-6.5 feet (2m) tall and can be seen from long distances. 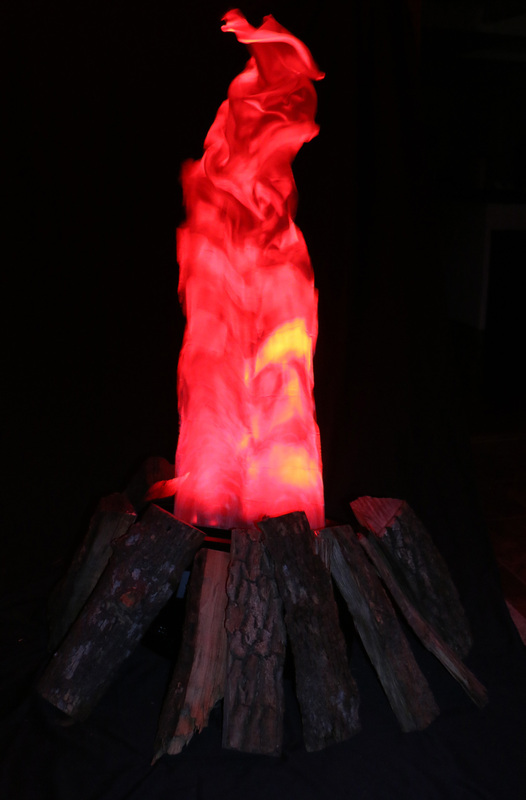 The unit features programmable color and lighting effects to achieve a perfect flame look. 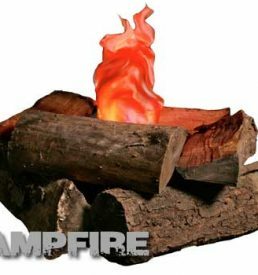 The Bonfire LED unit creates a simulated fake fire flame effect without heat. 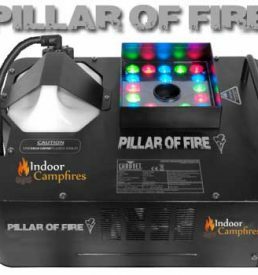 Includes independent color control allowing you to create rich flame colors with red, green, blue and amber LEDS. 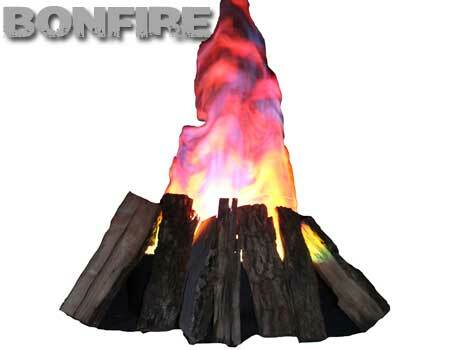 The Bonfire LED stands from 3- 6.5 feet (2m) tall (based on silk adjustment) and can be seen from long distances. 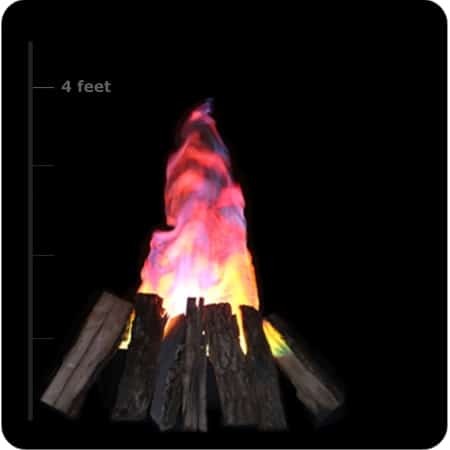 The unit features programmable color and lighting effects to achieve a perfect flame look. 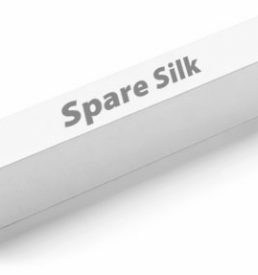 The fan produces strong updraft to support the flame height with considerable white noise. 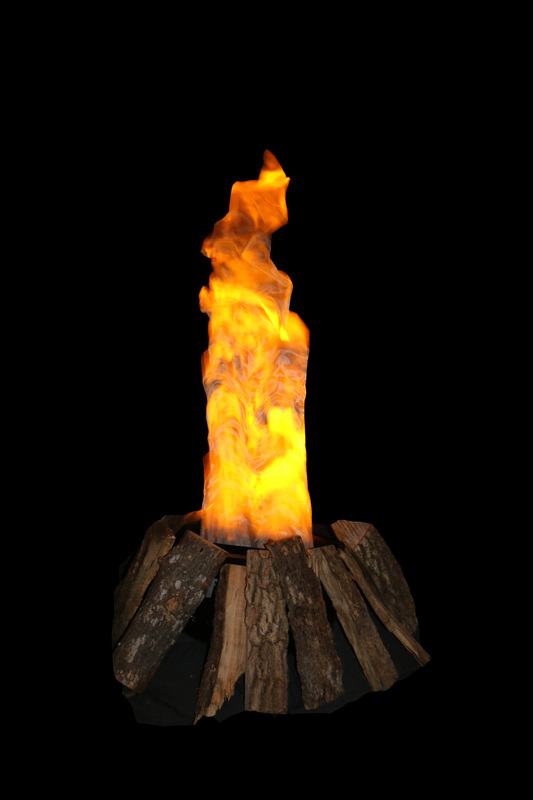 Flames are adjustable from 3 ft to 6.5 ft (2m) with base and can be seen from great distances, but height is easily adjusted by unrolling the flame or trimming.